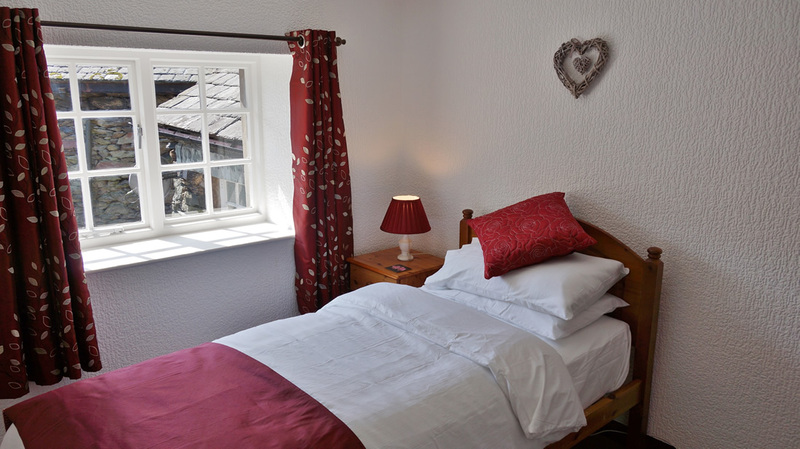 Ash Tree Cottage sleeps up to five people. 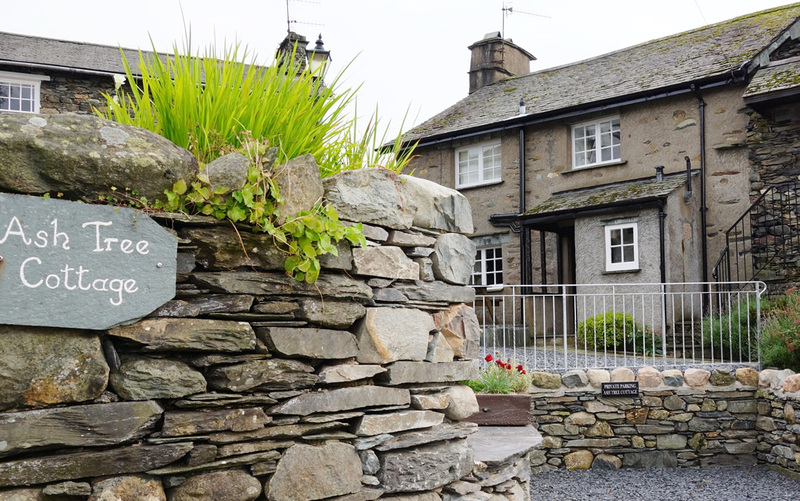 It has recently been sympathetically refurbished to a high standard whilst still retaining its old world character and charm. It is comfortably furnished and decorated to a high standard with every detail taken care of so all you need to think about is what to wear. On the ground floor there is a separate kitchen and a spacious lounge/dining area. 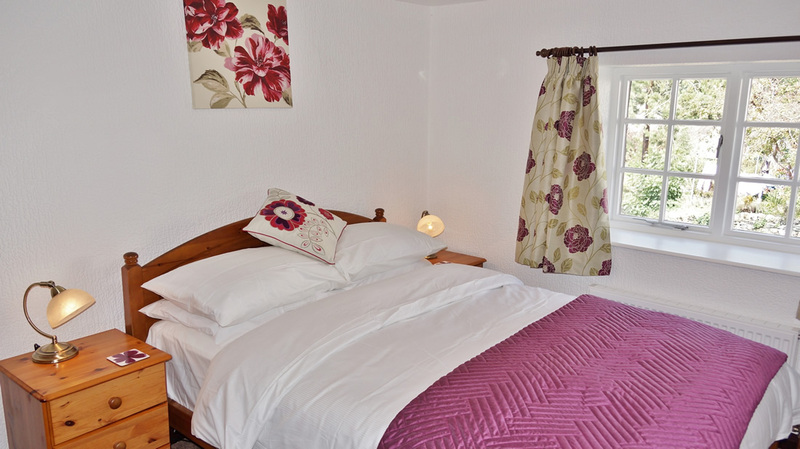 The kitchen is modern and extremely well equipped with everything you’ll need for self-catering including all crockery, glasses, cookware and utensils. 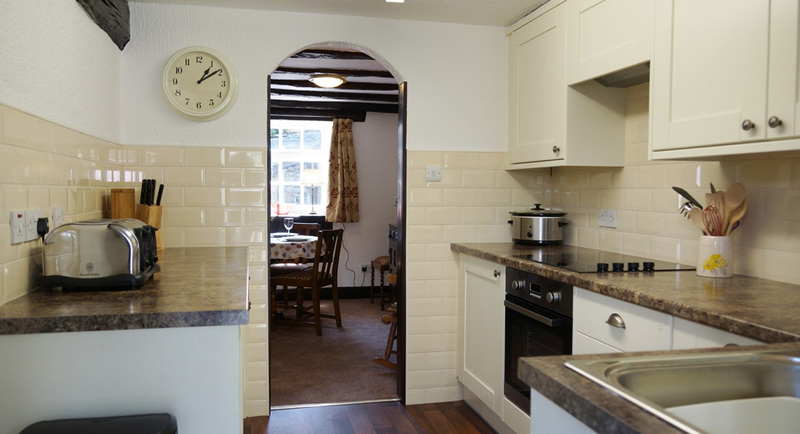 There is an integrated fridge, freezer and dishwasher, a built in electric oven with grill and ceramic hob, a microwave, steamer, toaster cafetiere and kettle. There are rolls of cling film, foil and kitchen towel. 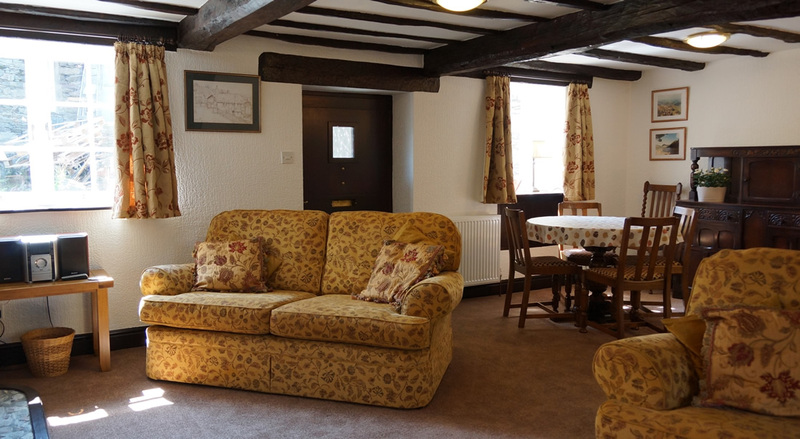 The large, oak beamed lounge/dining area is comfortable and tastefully furnished. Relax on the comfy sofas and watch the Freeview 40 inch TV. Or if you prefer, make use of the Wi Fi and catch up on your emails or plan the next day’s adventure. There is also a DVD player and stereo unit together with a selection of books, DVDs (the local library hires them out too) and games. In addition to the central heating, you can warm your feet by the open fire. We provide an initial supply of fuel in the winter months and further supplies can be purchased from the local petrol station. Upstairs, the bedrooms all have oak beams and latch doors. There are two doubles and a single, sleeping five people in total. 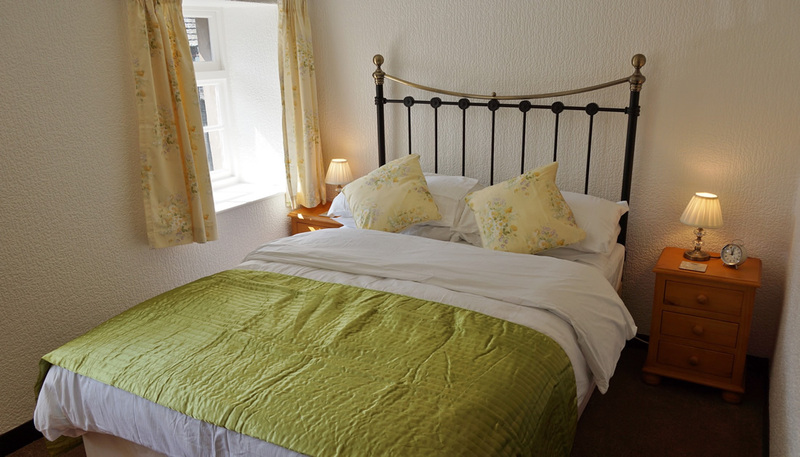 Duvets with quality Egyptian cotton bed linen will make you comfortable. For the chillier nights there are luxurious throws and even good old fashioned hot water bottles. Fluffy hand towels and bath towels are provided. 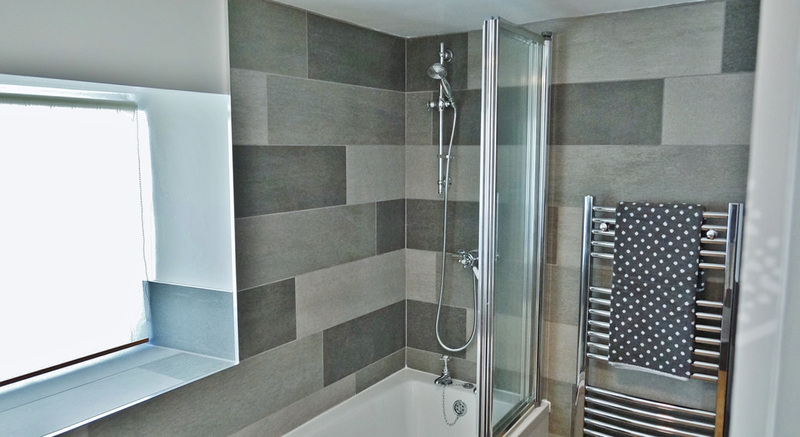 The bathroom has Lakeland slate tiles and a white Victorian style suite with wash basin, WC and a shower over the bath. There is a large heated towel warmer. 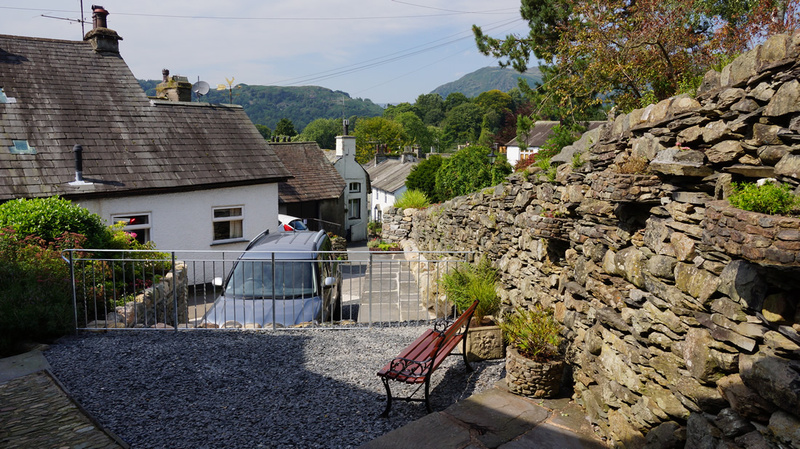 Outside there is parking for one car and a raised patio with outdoor furniture where you can sit in peace and quiet and enjoy the spectacular views to the North across the town and on to the fells towards Rydal.